By the time of the elections for the 1559 Parliament Dudley’s connexions with the county of Norfolk were slight. It is unlikely that he lived there, certainly he did not by 1560.4 However, he was still elected senior knight of the shire in deference to his parentage, social standing and his wife’s status in the county. The journals of this Parliament contain no reference to him. By 1563 the scandal surrounding Amy Robsart’s death and his own strained relations with the Duke of Norfolk made it impossible for him to be elected there, and he did not bother, or was too proud, to come in for another constituency. The grant of a peerage in the following year removed the possibility of his again sitting in a House of Commons where he could never have felt at home. peremptory dealing in ... knights of the shire, in burgesses of Parliament ... this man’s will must stand for law and reason and his letters for absolute law. Dudley continued to nominate at Denbigh until his death, when his brother the Earl of Warwick took over. In 1571 and 1572 when certain magnates were instructed to supervise elections in specified counties, the Earl of Leicester, as Dudley had now become, was allocated Berkshire, where he was high steward of all four parliamentary boroughs. At New Windsor, dominated by the royal household, and where he was constable of the castle, he was responsible for the return of both MPs in 1571, one in 1572, one in 1576 and, probably, one in 1584. At Abingdon and Reading he nominated one Member at each Parliament during his active period as a patron, while at Wallingford he nominated a Member in 1571 and 1572, before allowing his patronage to lapse in favour of his father-in-law Sir Francis Knollys and his friend Lord Norris. being steward of your town, I make bold heartily to pray you that you would give me the nomination of one of your burgesses; and if, minding to avoid the charges of allowance for the other burgess, you mean to name any that is not of your town, if you will bestow the nominating of the other burgess also on me, I will put in the names. By 1586 the restoration of the franchise had been arranged, but Leicester’s absence in the Netherlands precluded his intervention, and in the event he never did nominate there. Leicester managed to provide both Atye and Warburton with seats elsewhere through friends at court, but the rebuff at Chester, the only parliamentary borough in the county, is intriguing. Again, at the large freeman borough of Bristol, where they were pleased enough to have him as ‘chief governor and patron’7 there was no question of asking him to nominate MPs. So also at Gloucester, a county in itself, with a large and contentious electorate. Why Leicester should have tried to intervene here in 1584 passes understanding. So far as is known he had no links at all with the city, yet he wrote to the corporation, asking to be sent the election return ‘with a blank’ for him to ‘put in the name’ of ‘a sufficient man’. The corporation resolved unanimously that it was ‘not convenient’ to grant his request.8 After the fall of the Duke of Norfolk in 1572 Leicester became high steward at King’s Lynn and Great Yarmouth. Yet at King’s Lynn, with one doubtful exception, he nominated no MPs, and at Yarmouth only one. And at St. Albans he succeeded Sir Nicholas Bacon to the high stewardship, but not to the parliamentary patronage Bacon had wielded. Warwick gave the Earl of Warwick the nomination of one seat, occupied from 1572-89 by his and Leicester’s relative Thomas Dudley, and Coventry sometimes paid Leicester the compliment of returning his nominee, though he was never steward there. Neither was Leicester steward of Tamworth, but he sometimes nominated there by virtue of his ownership of an estate nearby, Drayton Bassett; he may have put in both Members there in 1571, one in 1572 and one in 1584. Another place subject to Leicester’s influence in this part of the country was Lichfield, where he nominated one MP in 1571, 1572 and 1584, including, in 1584, his steward Richard Browne, whom he had failed to get elected at Maldon in the following circumstances. Other random examples of Leicester’s patronage include Cirencester (another borough ‘restored’ in 1571, perhaps at Leicester’s instance); Poole in 1584; and Southampton in the same year—probably this was connected with his sweet wine monopoly. Though questionable identifications and overlapping patronage preclude certainty, it may be estimated that the number of direct Leicester nominees was: six in 1563, ten in 1571, twelve in 1572, and eleven in 1584, plus, in 1563, four nominations in the west country made indirectly through the Earl of Bedford, and three further indirect nominations in 1584: at Liverpool through the Earl of Derby, at Newcastle-under-Lyme through the duchy of Lancaster, and at Christchurch through the Earl of Huntingdon. Considering Leicester’s temperament and the fact that he was determined to gather into his hands as many borough nominations as he could, his achievement was moderate. Still, it should be remembered that only four Parliaments were involved. 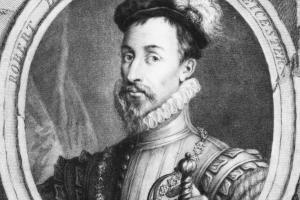 By 1586 he was in the Netherlands, his mind occupied with other matters than English elections, and on 4 Sept. 1588 he died, possibly poisoned, at Cornbury, Oxfordshire, a month before the next election campaign began. Where no specific source is given the reader is referred to the relevant constituency account. Use has been made of an account of Leicester’s patronage drafted by Sir John Neale. 2. CP; Lit. Rems. Edw. VI (Roxburghe Club), ii. 275; G. Adlard, Amye Robsart, 16. 3. Stowe 571, f. 52; PRO, Baskerville cal. Dudley pprs. bk. 4 I 224; CPR, 1549-51, p. 402; 1550-3, pp. 270; 1553 and App. Edw. VI, p. 49; 1558-60, p. 324. 4. Adlard, 39 n 1. 5. J. Williams, Ancient and Modern Denbigh, 98-9. 6. Secret Mems. 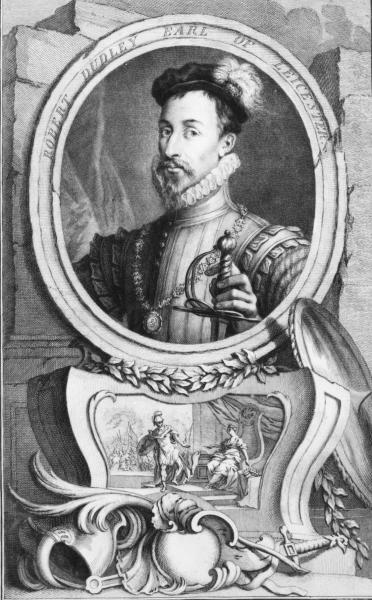 Robert Dudley (1706), pp. 55-6. 7. Dudley pprs. loc. cit. 8. HMC 12th Rep. IX, 457, 460; Neale, Commons, 275. 9. Essex RO, Maldon boro. recs.